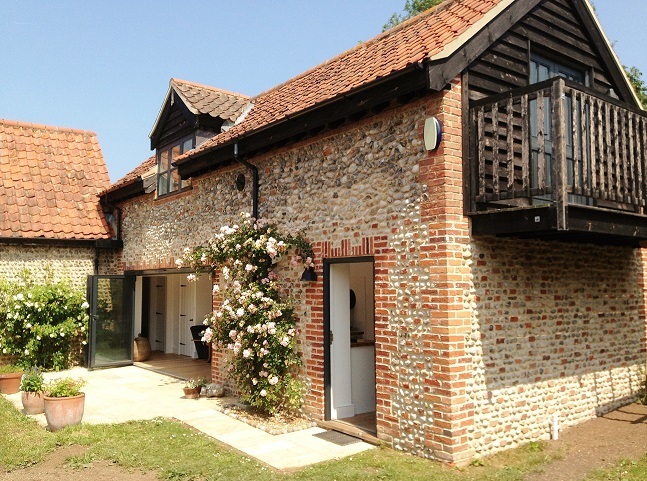 Situated in the heart of Cley-next-the-Sea, just a mile from Blakeney, Johnnie’s Barn is in a wonderful location for a Norfolk coastal holiday! 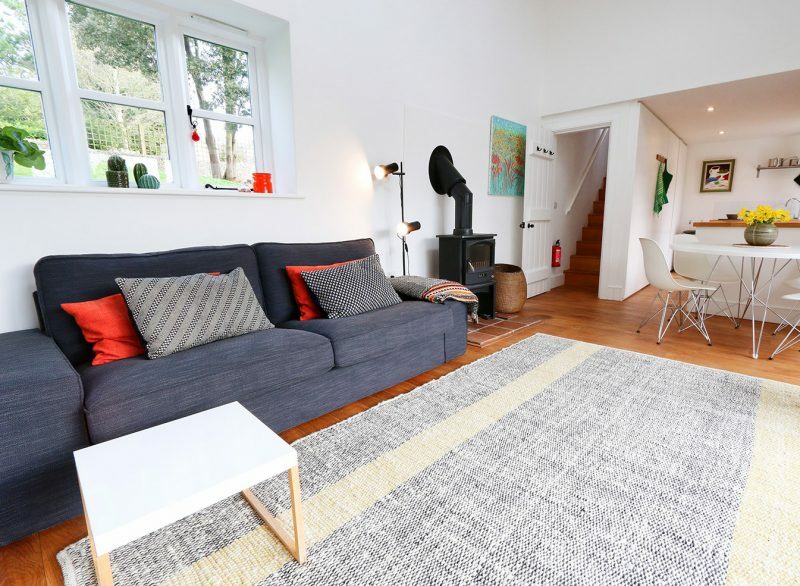 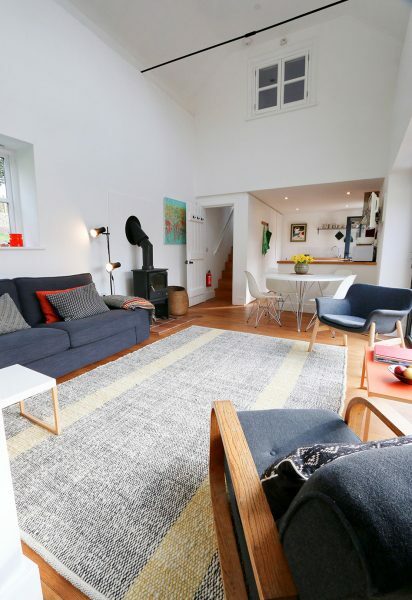 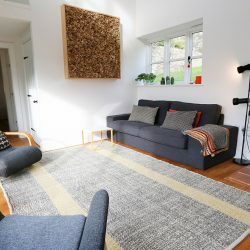 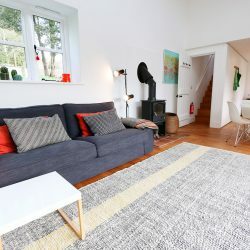 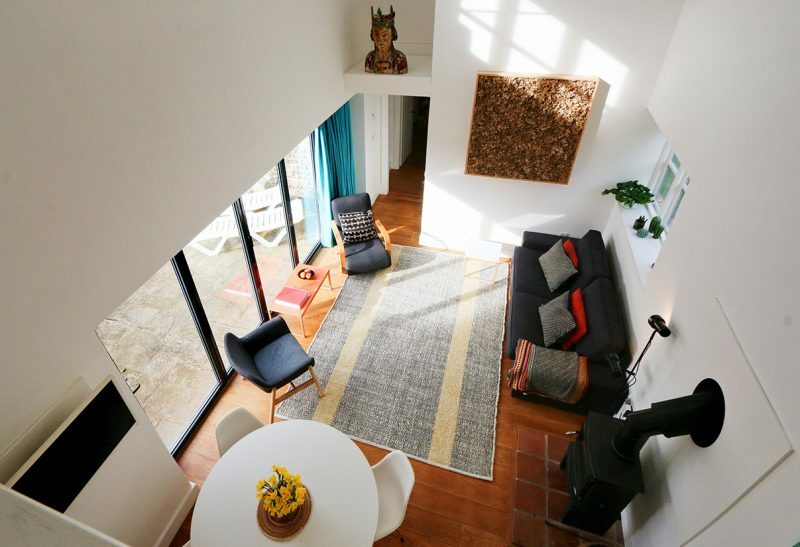 This stylish holiday home is positioned in a quiet location within easy reach of the stunning Norfolk coastline and all of the delights it has to offer. 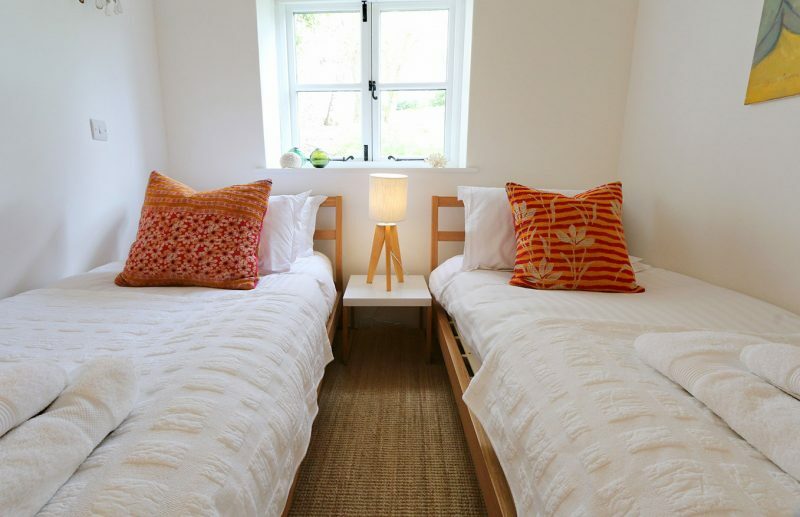 A real benefit at Johnnies Barn is the large, private garden to the rear of the property allowing guests to hide away and enjoy a peaceful family holiday together. 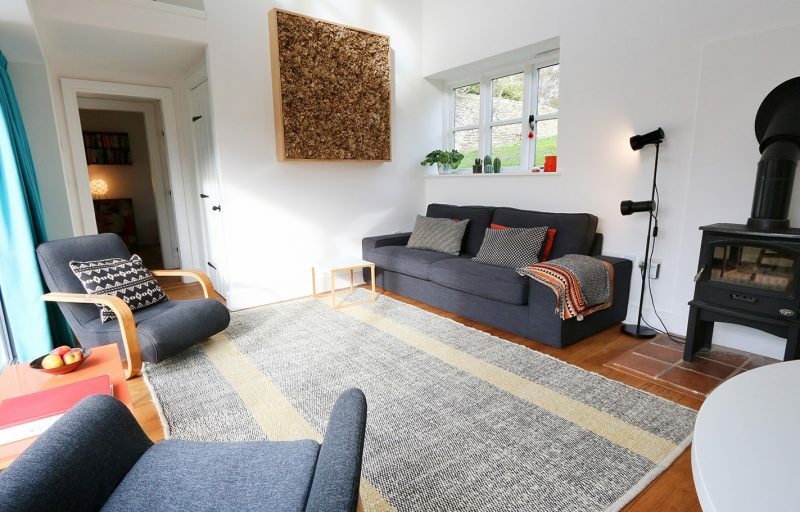 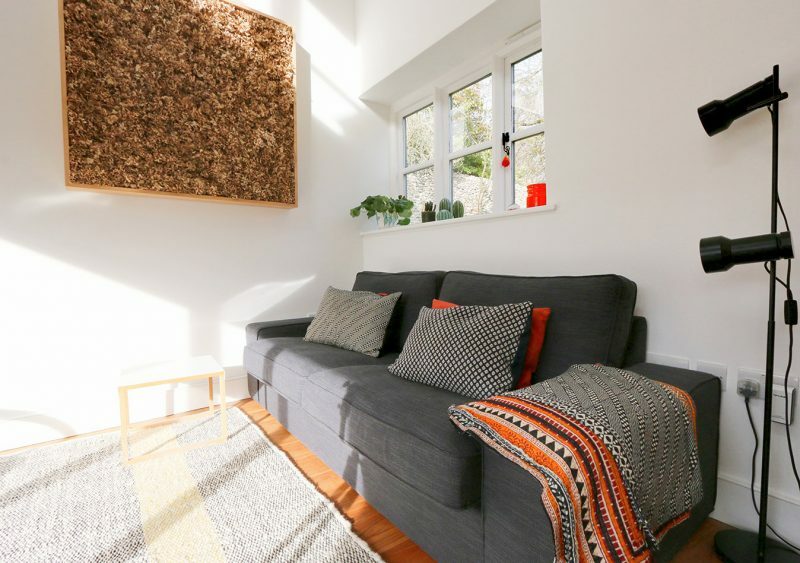 It also offers parking for up to two cars and a fully enclosed courtyard at the front of the property, this is a fantastic suntrap for those tranquil lazy days. 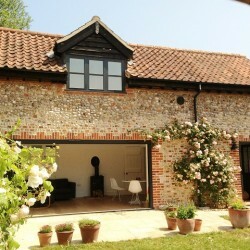 The thoughtful owner has provided comfy garden furniture for relaxing in and al-fresco dining in the summer. 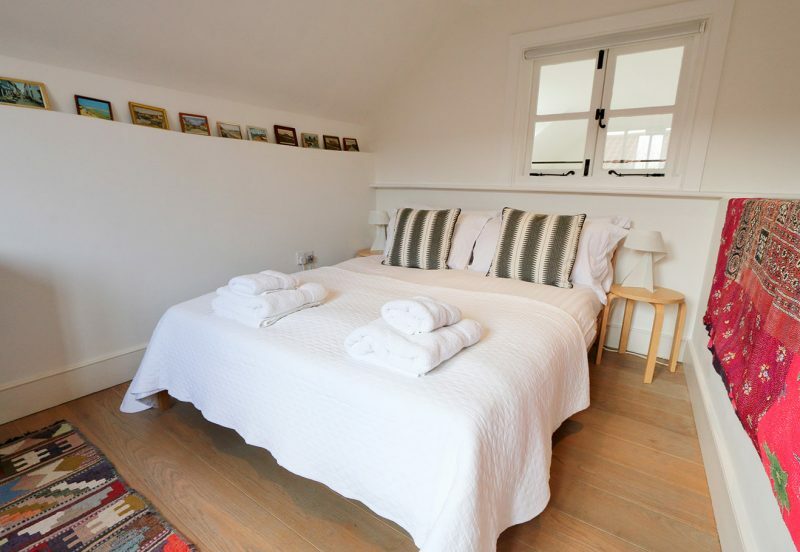 Johnnie’s Barn has been finished to the highest of standards. 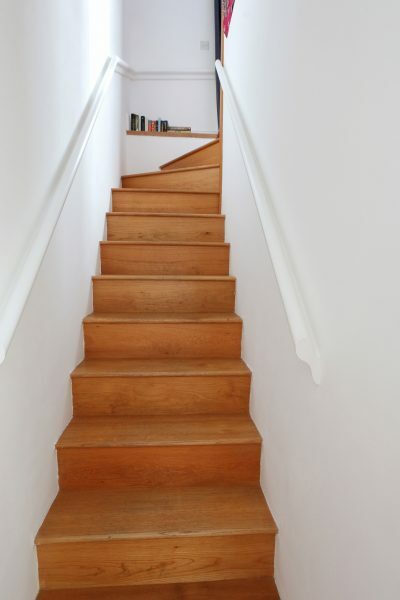 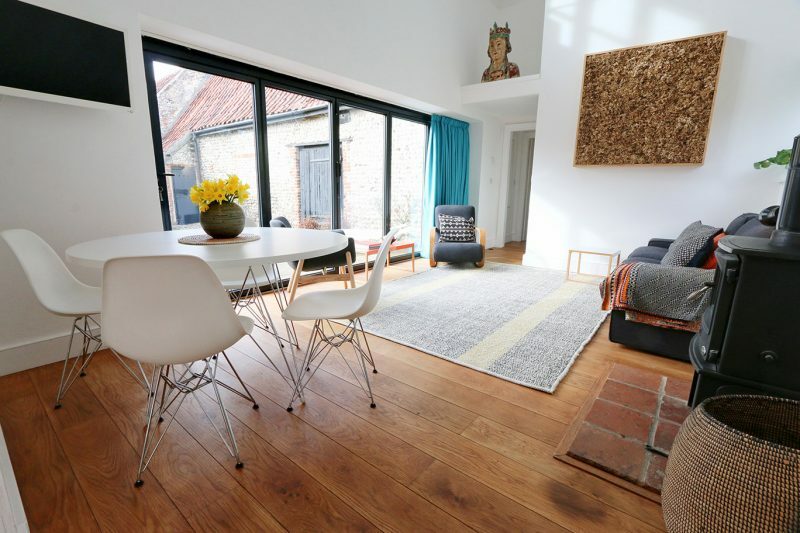 It has a wonderfully open, modern interior giving a real light, bright and airy feel to the property. 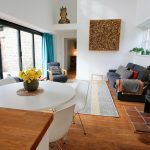 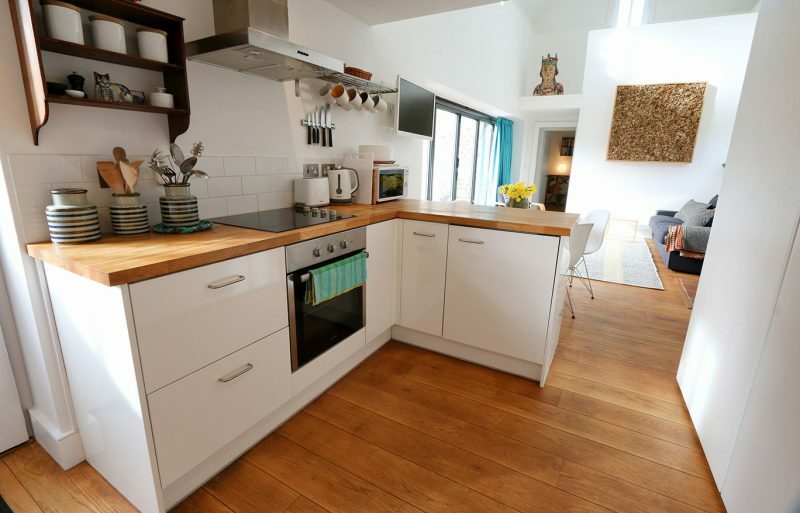 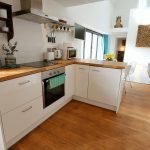 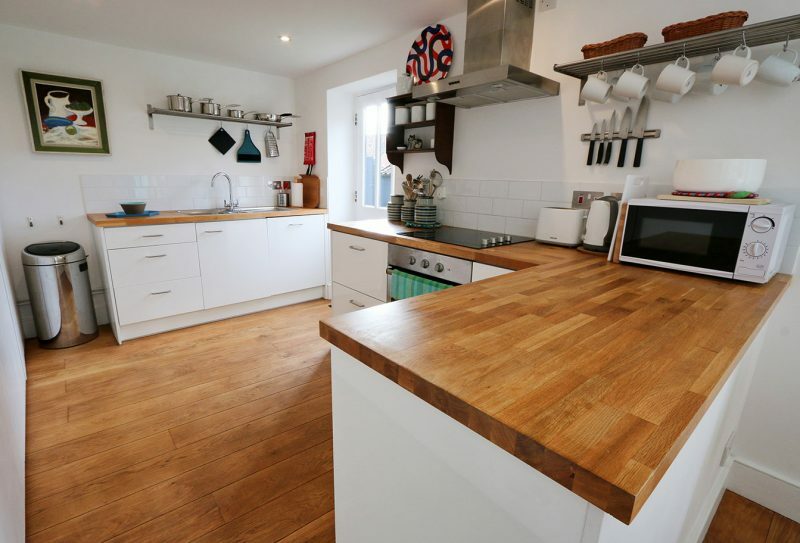 The kitchen is well equipped with all you would expect in a high end holiday let and is open to the living room and dining area. 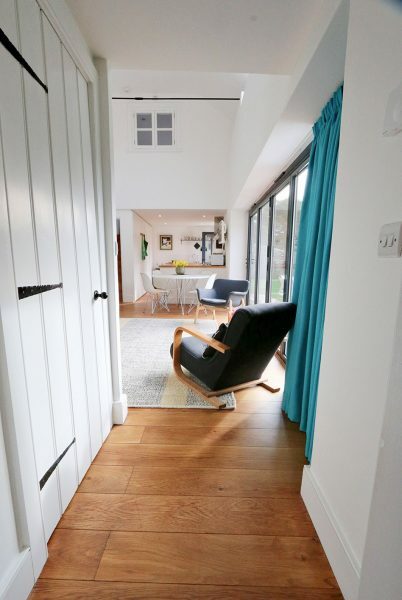 These in turn open out on to the courtyard via the stunning bi-folding doors, so you can combine the smell of your morning coffee with the refreshing coastal air. 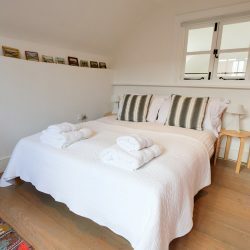 Johnnies Barn has full underfloor heating as well as a fantastic log burning stove in the sitting room so it is as snug and cosy in the winter as it is light and airy in the summer! 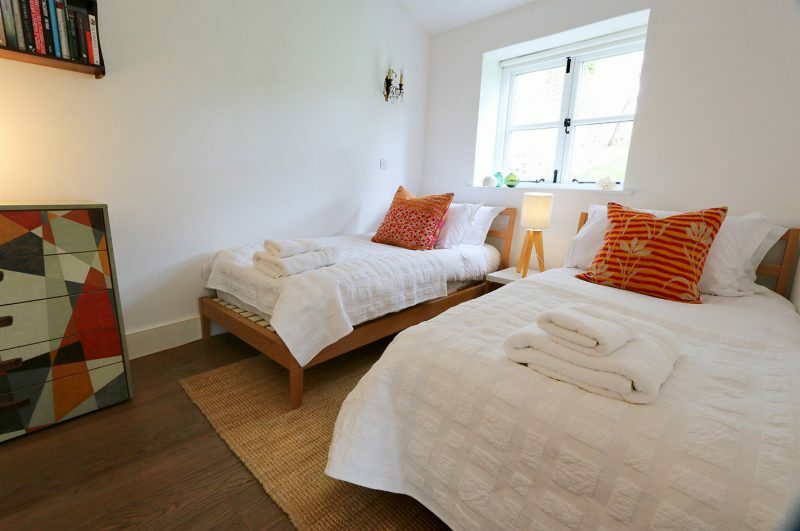 The owners have provided free Fibre Optic broadband and WiFi throughout the property. 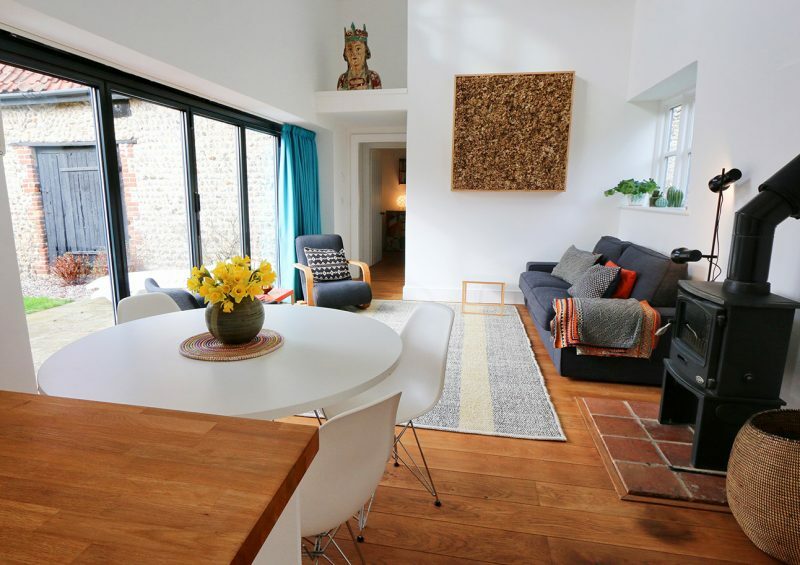 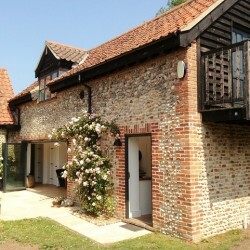 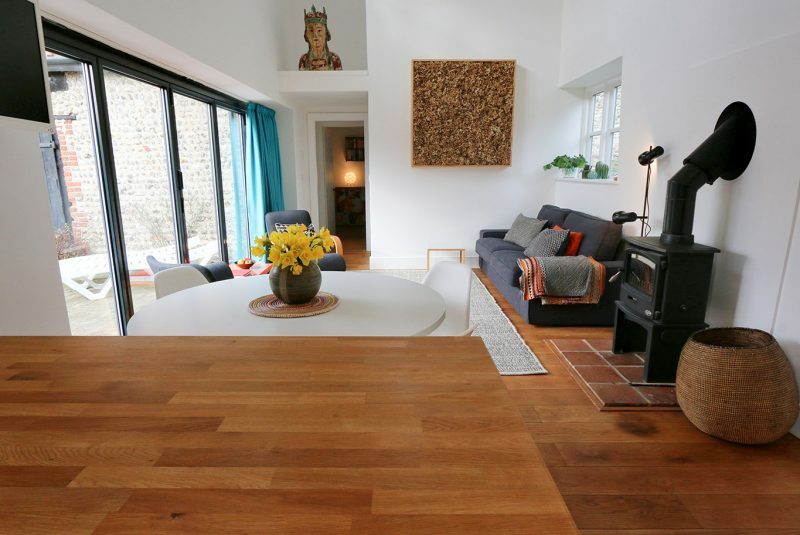 There is room enough for a family of four in this lofty Norfolk coastal holiday property. 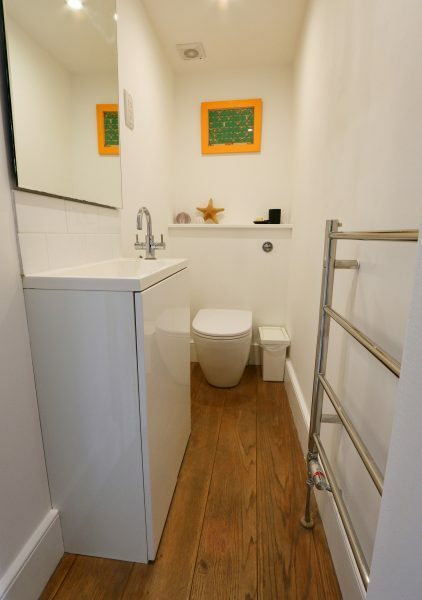 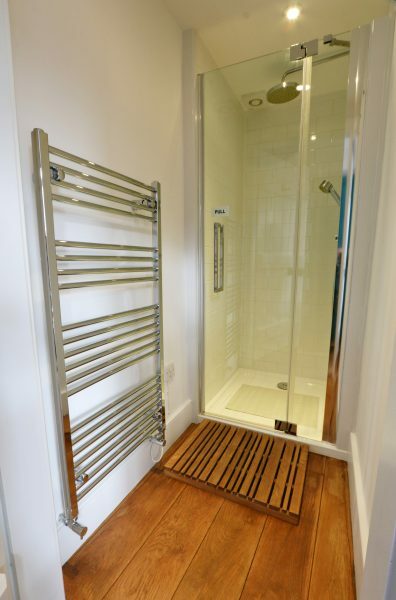 On the ground floor at the rear is a twin bedroom as well as a separate WC and walk-in shower room. 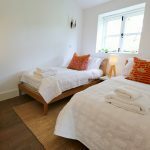 Upstairs is a small but charming double bedroom, featuring its own private balcony with far reaching views of Wiveton’s water meadow. 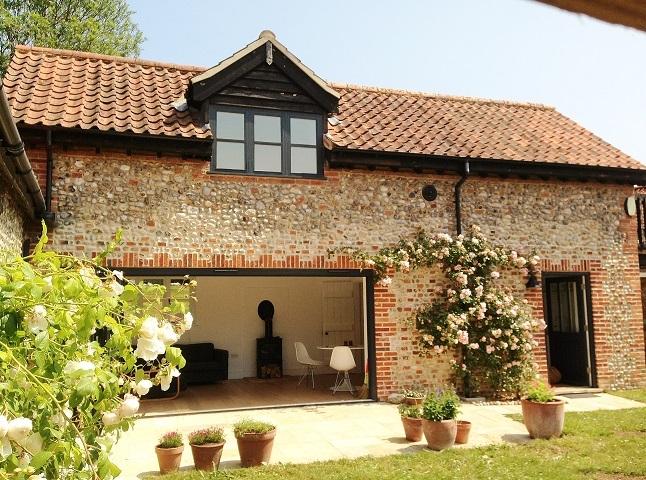 Johnnie’s Barn provides you with the comfort and practicality of a modern, open planned property all set in a characterful Norfolk flint and brick barn conversion. 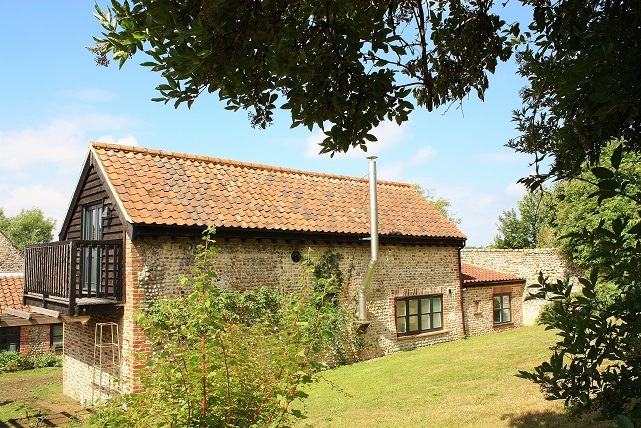 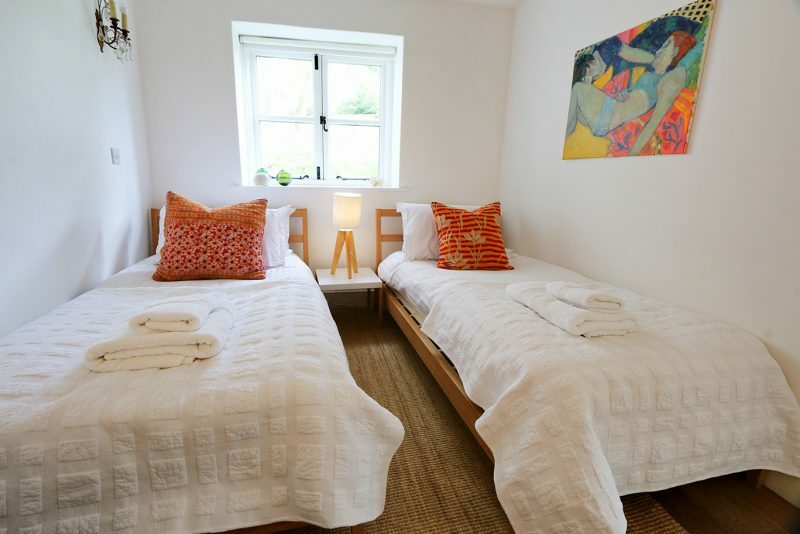 As with all of our cottages Johnnies Barn offers a fantastic break away for whatever time of year yourself and your family or friends decide to take a Norfolk coastal holiday!